Clean room and facility, and the staff were all friendly and helpful. The property is only 1 train stop from the Main Central Station (Frankfurt Hbf), and 1 stop to Messe Frankfurt Exhibition Torhaus Station. Very ideal for people who visit the annual Ambiente Fair. good place, good service. I live in a mixed room with five girls.and this is the first time I live in a room with so many girls. So excited. 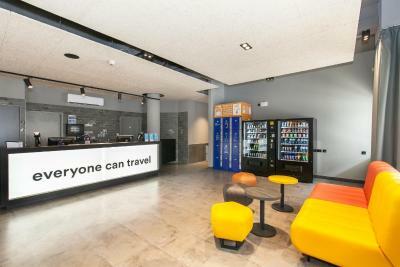 Staff was friendly, the lobby part, the location was very close to the Station, wifi was working swiftly. Not much, hard to think of something other than the location. a&o Frankfurt Galluswarte This rating is a reflection of how the property compares to the industry standard when it comes to price, facilities and services available. It's based on a self-evaluation by the property. Use this rating to help choose your stay! 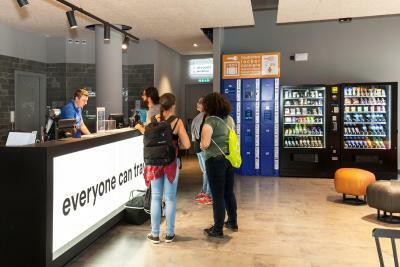 This Frankfurt hostel features a 24-hour front desk, a library and free WiFi access. 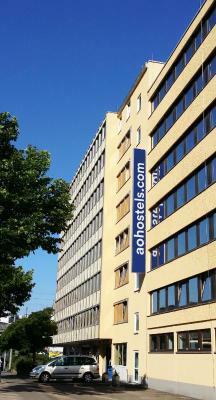 It is located 0.6 mi from Frankfurt Main Train Station. Rooms at a&o Frankfurt Galluswarte offer contemporary-style interiors. All rooms offer a private bathroom with a shower, care products and a hair dryer. Frankfurt city center is located 1.2 mi from the hostel, while Frankfurt Trade Fair is only 0.9 mi away. 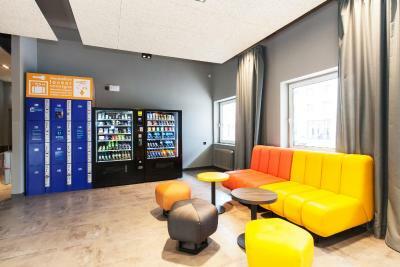 At the hostel, guests can relax in the games room or in the hostel library. a&o Frankfurt Galluswarte is set 9.3 mi from Frankfurt Airport. Gallusviertel is a great choice for travelers interested in skyline views, business and city trips. 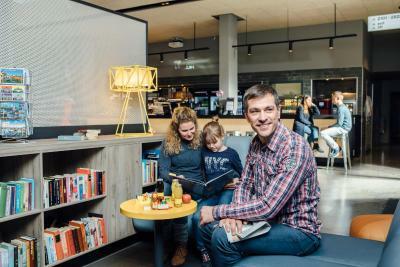 When would you like to stay at a&o Frankfurt Galluswarte? 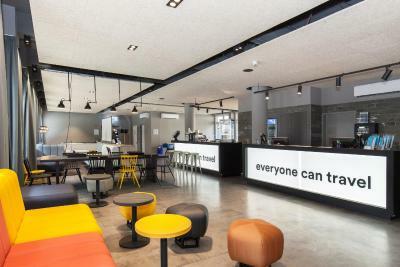 House Rules a&o Frankfurt Galluswarte takes special requests – add in the next step! 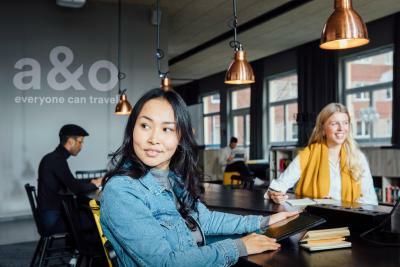 a&amp;o Frankfurt Galluswarte accepts these cards and reserves the right to temporarily hold an amount prior to arrival. a&o Frankfurt Galluswarte accepts these cards and reserves the right to temporarily hold an amount prior to arrival. Uncleaned kitchen: people are leaving kitchen without cleaning utensils. Kitchen was unclean. People were leaving the kitchen without watching while it's written: people are responsible for there use of utensils. My bunk bed was not clean as my expected. There’s a wet towel on my bed. The location is great, just 1 minutes to the tube. Lack of space for wardrobe. Great location close to main train station and one of the train lines. Clean and new. Good value for money. Almost everything, this is most like a cheap hotel than a hostel because you don't have a hostel vibe, you can't make friends, the guests are not friendly. At my fist day I arrived and made my check-in in a super long line and after that I went to my room and I had a BIG surprise: first of all, I asked for a shared room with boys and girls and in my room just had boys BUT terrible homophobic ogres with a disgusting smell with food scattered everywhere and watching animals’ game hunting. Of course I asked for change the room and the lady at the reception was super friendly and help me with that, but again when I went to the room I had another surprise but not so disgusting, the new guys were ok but smoking inside and talking loud until 2am with lights on, without any respect with who wanted to sleep. Finally on my 3th night I had a good night of sleep. I almost change all my trip dates because of this hostel. The location was good because you have trains just crossing the street. My headphones where stolen. I left the room for les than 1 minute and a girl stole them. The staff didn’t do anything. No power plus near the bed. No personnal lockers inside the rooms. Clean, accessible right next to the S-bahn. cheap! Not enough electrical plugs in the room, charging my phone was a hassle.